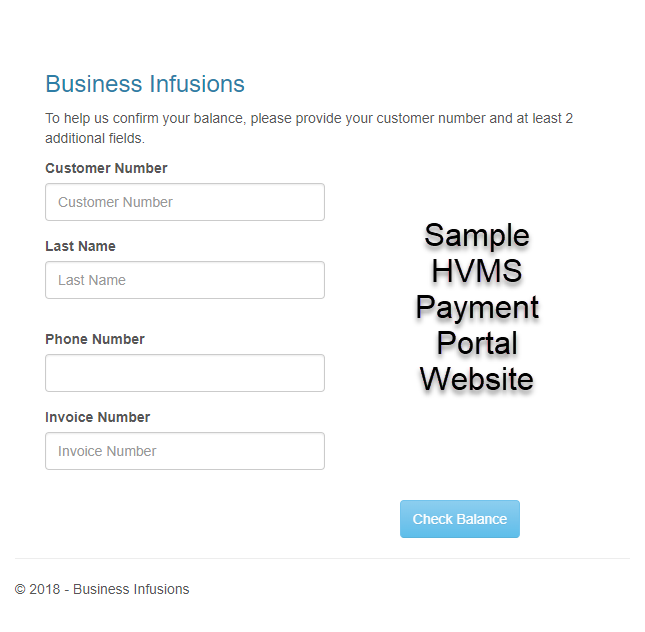 The HVMS Payment Portal is a new hosted website from Business Infusions that allows your clients to securely pay by credit card and can be linked to your website. By leveraging the HVMS OpenEdge integration and a new HVMS API, client payments processed on the web can now be posted directly to their account in HVMS. Single payment page hosted on our servers, API setup on your server that communicates with your HVMS database. No cost initial setup and hosted on our servers. One or more payment pages hosted on our servers, API setup on your server that communicates with your HVMS database. For a multi-practice setup, each practice can have their own payment page URL. Additional single domain, standard SSL Certificates are $100 per year. Alternatively, you can provide your own SSL Certificate which we can upload. HVMS has joined forces with OpenEdge to create a secure, innovative and affordable payment processing solution for your business that is the only100% PCI compliant option available through HVMS. One point of entry through your HVMS software ensure your staff is using their valuable time efficiently.